CLOSEOUTS. 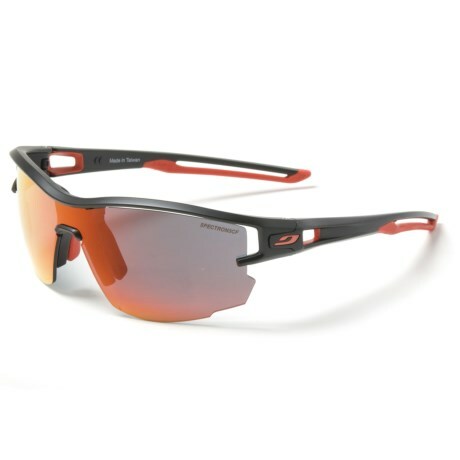 Sporty, semi-rimless and very comfortable, Julboand#39;s Aero Spectron sunglasses provide full-spectrum UV protection with a highly vented structure for clear protected views while on the go. Available Colors: BLACK/RED.